Today we stick with the British Isles for a battle between Scotland and England in the form of Margaret of Scotland vs. William Temple. So it’s a pious woman of the 11th century (who didn’t become a nun!) squaring off against an early 20th century theologian and Archbishop of Canterbury (who didn’t become a nun, either!). It’s been said that “every rose has its thorn.” In yesterday’s Lent Madness action we learned that Rose of Lima’s thorn is Brigid of Kildare who defeated her in the most lopsided battle to date, 82% to 18%. Ouch. After today’s match-up, we only have one more battle left before the start of the Round of the Saintly Sixteen. Check out the updated bracket and the calendar of upcoming battles and then vote! Margaret of Scotland (1045-1093) was born Margaret Atheling in Hungary and ended up in England with her family as part of a succession plan devised by King Edward. During the tumult following his death, Margaret and her family fled England and landed in Scotland where they found shelter in the court of King Malcolm. Eventually Margaret set aside her plans to become a nun and married Malcolm. She had eight children and her descendants ruled Scotland for 200 years. During her reign, Scotland became a center of Christian culture. Known for her piety and fidelity to the Roman Catholic Church, she was instrumental in rooting out corruption in the moribund Scottish Church and rebuilding monasteries at Iona and Dumferline (destroyed by Reformers in the 16th century). While hagiographers tend focus on her commitment to crafting church vestments and ornaments, Margaret was even more renowned in her day for charity and kindness to the poor, especially children and the elderly. Collect for Margaret of Scotland: O God, you called your servant Margaret to an earthly throne that she might advance your heavenly kingdom, and gave her zeal for your Church and love for your people: Mercifully grant that we who commemorate her this day may be fruitful in good works, and attain to the glorious crown of your saints; through Jesus Christ our Lord, who lives and reigns with you and the Holy Spirit, one God, for ever and ever. Amen. William Temple (1881-1944) was a member of the clergy in the Church of England, who became Bishop of Manchester (1921-1929), Archbishop of York (1929-1942), and Archbishop of Canterbury (1942-1944). His father, Frederick Temple, was also ordained and served as Bishop of Exeter (1869-1885), Bishop of London (1885-1896), and Archbishop of Canterbury (1896-1902). So William, who never knew his father in an official role other than as a bishop, was raised not only in the heart of the Church of England but also in the heart of the British Empire. Perhaps that inspired him to think that Anglican Christianity might be able to build with others a transcendent version of the British Empire, possessing the ability to transform both his own nation and the world. The best example of that firm conviction can be seen in his support of efforts to establish what would become, after his death, the World Council of Churches. He excelled in his studies at Oxford, where he also lectured until his ordination, and used his noted intellect in his clerical vocation to help the Church of England look beyond its own walls to the needs of society. That passion for social justice, which he expressed in both word and deed, was grounded in his belief in the truth of the Incarnation (i.e., the doctrine that God, in Jesus Christ, “became flesh, and lived among us”). It led Temple to view as sacred every individual and, indeed, all of life. Before his appointment as a bishop, Temple resigned a comfortable living as the Rector of St. James’s Church, Piccadilly, in London in order to become a leader in the “Life and Liberty” movement. That popular effort to reform the governance of the Church of England successfully added the voice of the laity in a more democratic structure. Temple became Archbishop of Canterbury during World War II and died on October 26, 1944, after only two and a half years in that role. He did not live to see the end of those hostilities or the results of some of the seeds that he planted, but his hope for the future was nicely summarized in the title of his last book, published in the year of his death: The Church Looks Forward. Collect for William Temple: O God of light and love, who illumined your Church through the witness of your servant William Temple: Inspire us, we pray, by his teaching and example, that we may rejoice with courage, confidence, and faith in the Word made flesh, and may be led to establish that city which has justice for its foundation and love for its law; through Jesus Christ, the light of the world, who lives and reigns with you and the Holy Spirit, one God, for ever and ever. Amen. 124 Comments to "Margaret of Scotland vs. William Temple"
Voted for Margaret…obviously (my patron saint). Well, my patron saints must be Cyril and Methodius if it’s due to your birth date, but I’m all for Margaret – rooting out corruption and helping poor and needy. And my Aunt Margaret Mary, Cousin Mary Margaret and great friend Margaret would all agree. This one to too hard for early morning and will have to wait until later in the day. Margaret – a personal favorite of mine. I love that she opposed the corruption in the church and was known in her day for her charity. Not every queen is remember for the same. William – helped the church look beyond itself to the society beyond the doors. My only reserve on him, that he had the empire as a model for the spread of the church. Maybe after a cup of tea. I look forward to everyone’s comments today! I don’t know that I can agree that Temple modeled his view of mission/spread of the church, on empire. Margaret is a personal favorite. I grew up in St. Margaret of Scotland parish, my daughter is named for her (and a favorite relative). I always loved that she looked out for the poor and needy. And routed out corruption, too! Being of Scottish extraction, I think it’s time to honor a Scottish saint. Margaret all the way – go Meg, Maggie, Peg! Quick question: If she died in 1093, how could Margaret have been “instrumental in rooting out corruption in the moribund Scottish Church and rebuilding monasteries at Iona and Dumferline (destroyed by Reformers in the 16th century)” — No! Wait! I get it. She rebuilt and the Reformers came along later and wrecked what she had done. Like so much of history. Sorry, Meredith to question your excellent research! I had the same confusion on my first reading. Went back & confirmed the dates Margaret lived and came to the same conclusion about the reformers destroying Iona and Dunferline. Was Margaret a time traveler? William sounds like a good guy, but he’s not named Margaret. Scotland v. England? Might there be some Lent Madness hooliganery over this matchup? Wrong quote, please disregard! But I still voted for William Temple. His devotion to the Incarnation, work to include the laity in the polity of the Church, and his theological work in a world plunged into war get my support. I could not have stated it better! His message is timeless and so relevant for today. Thanks. Margaret was obviously a lovely girl and did good things. But William Temple (imho) was the greatest Anglican theologian of the 20th Century and his writings were extremely formative of my own theology. He’s got my vote. “A lovely girl”?? Eric, one does not refer to a queen in such a way. Perfectly acceptable way, as demonstrated by a couple of knights of the realm…. If you go to Edinburgh Castle, make sure you spend a bit of time in Margaret”s Chapel. It is a gem. Like Margaret. It is a lovely chapel. However, the vote still has to go to Temple! Abp. emple was an admirable Cantuar and great Anglican theologian, however, he was kind of a set-up: his father was a bishop and the Church hierarchy was always part of his life. I applaud his work in ecumenism and emphasis on Incarnation. However, in his life I don’t see the active compassion for little people that Queen Margaret demonstrated day in and day out. She actively ministered, even though she was foreign-born, amongst the common people of Scotland, and brought a civilizing influence to the Scottish court. To be so actively faithful while maintaining a marriage and bearing and raising children seems quite remarkable to me. Besides, I love her chapel atop Edinburgh Castle! And, well, yes, I -am- named Mary Margaret! Have to disagree that Temple was ‘set up’–he was initially refused ordination by the Bishop of Oxford because his theology was suspect (I’ve actually held in my hands the pre-ordination letters for both his diaconal and priestly ordinations). This is definitely consoling for others who have been refused ordination . . . and all the more reason to vote for Temple! Sister Mary, there’s a great, but admittedly apocryphal story about Temple leading a pre-ordination retreat. He is said to have started his talk with these young men by saying ‘Gentlemen, God has called you to the priesthood. Because he’s realized he cannot trust you as laymen’. Another one where, if he didn’t say it, someone ought to have done! Calling all friends of St. Margaret’s House and Church Divinity School of the Pacific! Vote for Margaret! Honor the legacy of St. Margaret’s House where deaconesses and church professional were trained in Berkeley, CA from 1914 until its merger with CDSP in 1967. St. Margaret’s House was a vibrant center of theological education and training. Its graduates were faithful witnesses to the life of Christ and the church. 200 years? Don’t her descendants still reign over Scotland (and the rest of the UK? And, of course, like many queens she married a Scot (i.e. a native of the country where she became queen) but was not one herself. I should have been more specific: Although born in Hungary (the English royals were in exile from Canute and his fellow Danes) Margaret was English and cousin to Edward the Confessor. Since he was a friend of the family I count her as one too and she got my vote. I do have a bit of trivia on William Temple — several years ago I did a locum in a parish which was founded under his Episcopal oversight. The parish history records that the wardens were impressed by his ability to discuss the parish with them, dictate correspondence, and conduct telephone conversations all at the same time. And, BTW his father also served as ABC, not just in any old diocese. It was the first Abp. Temple who crowned Edward VII and nearly dropped the crown on him as reported by an eyewitness. (Both Temple and the Dean of the Abbey were rather tottery (having postponed retirement in order to be able to do the coronation once Victoria shuffled off her mortal coil) and the Dean nearly prevented the accident by making a wrong turn and carrying the crown off into a transept. The same eyewitness reports that apart from these exceptions the ceremony went quite well. St. Margaret’s got my vote (but not merely because I share her name!). Many years ago I visited her tiny chapel in Edinburgh Castle and I have long admired her courage and devotion in living a life of faith in action. Yeah, I would normally go with Temple for his theologia-magificatus, however, my daughter Meghan is named after the great Scottish Queen. Go Margaret! I always confuse Margaret of Scotland with Elizabeth of Hungary, especially since Margaret was originally from Hungary. Oy veh — another tough choice! But I’m going with Margaret…her example, her faithfulness, her compassion and generosity, her unswerving dedicaton to Christ’s people…and the Sisters of Saint Margaret (who actually claim the obscure virgin saint of Antioch as their patroness — go figure! ), who came to Boston to administer and nurse at Children’s Hospital (an institution of great significance to my family)…go, Meg, Maggie, Margie! 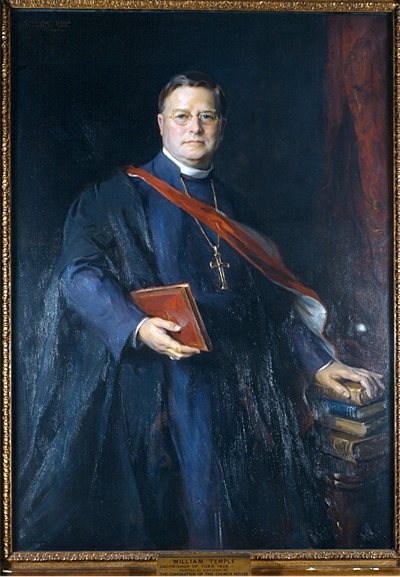 William Temple confronted anti-Semitism when it was widespread in England and he was not afraid to challenge conventional religiosity. Try this quotation of his on your congregation, ” The Church is the only organization that exists PRIMARILY for the benefit of non-members.” Even though I am a Scot I have to vote for WT. Ken, sorry–that’s the most famous thing Temple never said. He said much like it, but that’s such a condensation as to be incorrect. I wrote my PhD on Temple’s ecclesiology, and could NEVER find that quote in anything he wrote, including a thorough read of a lot of his stuff that never gets out of the Bodleian or Lambeth Palace libraries. What he actually did was to compare the church to an army, and to claim that an army doesn’t exist primarily for the convenience of the soldiers in it, but for the kingdom it serves. And that has to be coupled with his other great, but less known quote (from Readings in St John’s Gospel) that if the church claims to be a foretaste of heaven, but people outside it look at the church and as a result say they don’t want to go to heaven–that’s the fault of the Church! (I also wrote the 1996, I think, article in “Anglican and Episcopal History” about ++Temple’s witness against the Nazi persecutions of the Jews and others. For anyone moved to vote for Margaret merely because of Scottish affiliation, hold off. She wasn’t just a lovely do-gooder. She was also an aggressive advocate for the subjugation of Gaelic language and culture and she would have happily done away with the Celtic Church as a whole. Now, I know the distinct features of Celtic Christianity are a matter of great scholarly dispute, but I still say Margaret was an ungracious imperialist. My vote’s with William Temple, for social justice and solidarity. Despite the apparent use of a saintly time-turner by Margaret (who lived in the 11th century but rebuilt monastaries torn down by the reformers in the 16th century) as well as her 5-extra-points for being Celtic, and the unfortunate implication of empire-building for William, I still went with William for his social justice impulses. Both of the writers today get a C-. It is a difficult decision. I felt impressed by both of them. I also like to see women in action above all in a time when women were relegated to the shadows. However, since I am an Anglican, I am choosing today a Bishop of Canterbury which is the spiritual leader of our community of churches. Well, it’s obvious the feminists are going to run roughshod over the C of E and the woman was RC….people !!!!! I am a deacon but the fact that deaconesses were trained at St. M’s House in Berkeley can’t override the fact that Temple was the B of C !!! Yeah, Temple ! Rah ! Rah ! Rah ! My sentiments are in alignment with Gian’s and I don’t even know him. Oh…I don’t have to, do I ? Thank you. You are right. You do not have to know me. However, if you are ever planning to visit South Florida, I gladly will attend an Episcopal Mass with you. Margaret got my vote not only because she was pretty amazing but also because is sounds as though she could transcend centuries to “rebuild monasteries…(destroyed by Reformers in the 16th century)” Methinks a word of “later destroyed by Reformers” might put her in the correct century….otherwise I have no idea how she did that! Go Margaret of Scotland! ‘It’s been said that “every rose has it’s thorn.”’ It’s in the penultimate word. Ah, Phil, you caught the “killer apostrophe.” Good for you! All of Edinburgh Castle is indeed inspiring (and, my memory is a bit fuzzy on this, but I believe I remember another St. Margaret’s Chapel at Stirling? ), but today I abandon my Celtic affinity (hey, SHE was from Hungary) and go with the Anglican! I was tempted to go with Margaret, as I just had a read-through of the Scottish Play last night. But looking at Temple’s influence on the church on our own day, I had to go with him. Four generations of Margarets in my family: my sainted mother Margaret Elizabeth; me, Patricia Margaret; my daughter Ann-Eleanor Margaret and her daughter Kathryn Margaret, who vows to name her own daughter Margaret when she grows up. I love the name and I love the saint. Margaret, it is! Since Margaret is a relative, she gets my vote. You’re related to Margaret? So am I! So is my wife! Good to meet you, cousin! Another lovely feature of Margaret’s lay vocation was that she apparently loved beautiful clothes while also spending lots of time and money helping the poor. Meredith and Aletheia: Margaret was not RC as there was no RC church in her time, just Western and Eastern Christianity which split in her lifetime; within Western Xtianity was a wide variety of liturgical and spiritual traditions, one of which was a nascent Roman liturgical rite. The RC church in its present form dates from the Reformation. Do you really want to agree with uber-conservative Catholics that it’s the everlasting church of Christ from which others broke away, and cede all the great achievements and holy people of united Christendom to one of its denominations? Really? Margaret of Scotland vs. William Temple? So cruel! Two of my mother’s favorite saints meet in conflict. I think I have to vote for Margaret because my twin sister is named for her, but this is really tough. Thanks for the apostrophe alert. My mother would be horrified! I’ve corrected it and am taking time out of my day to offer penance to the grammar gods. Social justice and ‘the voice of the laity’ gets my vote! Like Mary (who was obviously awake long before I was today – ah time zones!) I also caught the parenthetical reference to St. Margaret’s ability to cause actions 5 centuries after her death. I was going to vote for her anyway (we Scots must stick together), but that clinched the battle. I did my field work at Margaret of Scotland, and I have the ‘wildness and the warmth’ of Iona deep in my bones. Margaret it is! William Temple was a person of his time. As we review the saints, I find it best to understand their context and then focus on the direction in which they pointed. For William Temple it was ecumenism, leadership of the laity, academic rigor, and service to the world. He was a person ahead of his time, marked by the Spirit. Really now… I am sensing a significant gender bias in this year’s brackets overall as well as today’s contest. It’s reflected in the insidious “I love the sweet name of Margaret” stuff. If William were female and Margaret a male, with all his “Power to the laity!” and “Up with ecumenism and social justice!” versus Margaret’s narrow view of the faith, would this even be close?! Steve, I also have a bit of trouble with the ‘girly’ vote (oooh, I was named for her, and thus I must!) element here. I wonder too, whether, if people were aware of the strong circumstantial evidence for Temple having been (closeted) gay, he wouldn’t have a much stronger showing in the vote? possibly gay? that gets my vote. also he seems to have had a part in creating the church culture in which i have almost been comfortable. Ah, but you see, Mary, ‘possibly gay’ is (in my book) no better a reason to vote for him than being named for Margaret is a reason to vote for her. Much better reason for me to vote for Temple is that, like me, he loved cats and played the oboe…(which is still a pretty dumb reason, because it had nothing to do with his real contributions). well, i love cats and oboe music. i’ve enjoyed learning more about him from your posts. Bruthah! Where do you see a gender bias in bracket? I count 23 of 32 saints in the contest as male…so if there’s a bias in the bracket, it ain’t against gents. Supreme Executive Committee — please weigh in to explain thyself! Don’t care where they’re from or which church – Temple, for advocating that the voice of the laity be heard in the polity of the church, for his ecumenical eye, and for living his understanding of the Incarnation in his commitment to social justice. Like the other Margarets (and the people who love them), I admit the name alone draws me to this saint. Her life and works really make the case. But William Temple is no slouch. I’m not surprised at the close vote. Ultimately, even though I’m the daughter of a William, I cast my vote for Margaret. Comments that I’ve seen, the participants don’t turn nasty and start cursing each other. And they can spell! I use Word w/ spell checker then paste it in. Not always right, but a good assistant. I admire William Temple, but the vote goes to Margaret after whom my daughter and mother are named. As a member of a congregation named St. Margaret’s & San Francisco de Asis (and you think pitting Scotland against *England* is challenging…), Margaret’s the obvious choice for me. Every Sunday I sit in the choir, looking at the stained glass window that shows the Scottish queen with an open hand, offering bread to the poor; I think of her as a generous spirit. I should vote for the Scot but Temple’s achievements and his impact on the church can’t be ignored. As a person with a proud Scots-Irish heritage this was an easy choice for me. The passage of time can be kind to a person’s life story and this seems to be true today with Margaret of Scotland. Margaret was born in Hungary, not Scotland, and moved to England. She fled England with her brother after a failed attempt by family members to seize the throne. She then married the king of Scotland establishing her rather scant Scottish lineage. She was noted in Scotland for making the royal court more grand much in the likes of others in Europe. The reforms in the church mentioned in her bio consisted primarily in stamping out Celtic influences and making the church in Roman in nature. She was noted for her efforts in bringing in hundreds of priests from England to carry out this cleansing. Without a doubt she did good and charitable works in her life but I think that one must look at the total package. My vote today goes to the theologian, author and noted cleric. Mark one vote up for William Temple. As a Canon for Social Justice (and a lay person), I can do no other. Go WT!! It is nice to see collects written by females. I found this mornings holy beings most interesting especially Margaret of Scotland. Since I have Scottish heritage in my background, I, of course, voted for her. I agree that Temple’s theology was NOT modeled after British empire and, indeed, that his theological leadership here is hardly noted. What? No mention of his having done the Gifford lectures? An early visionary of the healthy and godly relation between theology and science? And that he could write so voluminously, even on the train, because he always left off his composition in mid…. Temple was an early Gifford Lecturer (second, I think), but far from one of the first to envision a healthy relationship between science and theology. Joseph Butler, for one, was about 200 years prior, and although largely discredited now, William Paley (the ‘divine watchmaker’ guy) was trying to do exactly that. The dates in the biography for Margaret don’t make any sense. Temple’s legacy in the United States includes many effective centers of counseling, assistance for the poor and homeless, etc., including the one here in Portland. name Margaret. I look at one line in background on Margaret and think of a number of questions. The line is: “Known for her piety and fidelity to the Roman Catholic Church, she was instrumental in rooting out corruption in the moribund Scottish Church…” My question is what means were used to root out the corruption and is one of them death to the corrupt person or persons. I see Temple’s ideas as positive to all people and seeing value to everyone’s way of worshiping as seen in his help setting up the World Council of Churches. I am saving up for the bloody battle which will ensue tomorrow in the Tarsus Derby. So…today vote for whom you please. Marguerite, I haven’t decided yet whether to vote for Paul so he can be taken out (hopefully) by Emma or Mary Magdalene in a later round… or just go with Theodore tomorrow. Reading Corinthians in the daily office lately has confirmed by ABP, (Anybody but Paul) attitude. I went with Temple because I overuse a quote of his that I have not yet heard referenced: When we decide wisely, God reigns; when we decide foolishly, God reigns. That’s not the entire quote, but it is one that has kept me on solid footing and in a non-anxious place during many a congregational conflict! Please don’t burst my bubble and tell me Temple never said this . . . He definitely DID say it–he had been called in to preach last minute at a Lambeth Conference for an ailing ++Randall Davidson, and that was the closing sentence of the sermon. And it has stuck. Wish every preacher who had to work last minute could pull out something that good! It makes me angry when I hear terrible sermons from preachers who admit to waiting to work on their Sunday homily until late Saturday night, on the excuse of ‘I work better under pressure.’ When you work as well as this on short notice, you can make that claim–not a second before (unless your ‘best’ really isn’t very good…)! An archbishop, and son of a bishop, who made the way for the laity…gets this lay person’s vote! Go Temple! i am a distant relative of a St. Margeret. # 2 reason for voting for her . # 1 is what she did for the poor, and following Gods word. While Margaret was born in Hungary, her grandfather was one of the last Anglo-Saxon kings. Her father was sent into exile when Canute conquered England. The ethnicity of her mother has been the subject of great debate and is ultimately unknown. Bottom line, she’s not Hungarian or Scottish but (at least partly) English. She had no knowledge of Scottish Gaelic, which is why she insisted on the court language being English, which it apparently thereafter remained. She detested the Celtic Church and strongly worked for its Romanization. She was no friend of the Highlanders. As a descendant of Gaelic Highlanders, I’m not a terribly big fan of hers. So with regrets, Temple it is. Temple. I liked what the blurb had to say about him. Power to the laity! I really struggled more with this one than any other. I have such admiration for ++Temple, but my lifetime relationship with stories of my ancestor Margaret are pulling at my heartstrings! Both worked for the poor, and in their own traditions furthered the work of the Church….I finally chose Margaret: too many years spent honoring her before I even learned of the great William Temple! As a mother of a 2003 graduate of St. Margaret’s School in Tappahannock, Virginia, one of the church schools of the Diocese of Virginia, I’ve got to go with Margaret! Go Scotties! I hope that this will clear up the confusion regarding Margaret of Scotland’s purported efforts in rebuilding the abbeys at Iona and Dumferline. The Iona Abbey was established in 563 by Columba (headed to the Saintly 16) and dismantled in the 1500’s during the Scottish Reformation. The final work on its restoration came during the late 1800’s through gifts from the Duke of Argyle. The Dumferline Abbey was sacked around 1560 and rebuilt around 1570 by Robert Drummond of Carnock. Clearly Margaret was in no way involved in the restoration of these Scottish cultural treasures. As commented on previously by others Margaret detested the native Celts and their ways and did all within her power to drive them out. She was no friend to the Highlanders. Much of the information that we have on Margaret comes from her biographer, Turgot of Durham. It should be noted that Turgot wrote this biography after Margaret died and at a time when his personal fortunes were being greatly advanced by her son, King David the First of Scotland. If you vote for Margaret because you share her name or are associated with a parish with her name that is fine. However many of us with family ties to Scotland will have a different view. Luri, I also vote prior to reading the replies. But after I google each saintly candidate. I am not as well read of these honorable candidates but I am enjoying the learning experience. Even the Monday videos are entertaining. I am still wondering if I can get that saintly book for a kobo? Hail to the Queen of Scotland, loved or not she has my vote. Lenten Madness is a joy. Well, not a whole lot there. We are getting to the Cinderallas of the contest, so based on past results (no male saint has won against a St. Woman) I’m guessing the woman will get the vote. But in 2010 and 2011, men won the golden halo . . . it could happen again, unless Brigid gets to the final round! What about Mary Magdalene going all the way ? Oh dear; you’re really trashing her reputation! What about Monnica & Evelyn, Brigid, or Emma of Hawai’i “going all the way” ? Besides, The JoA/MM bracket will overload the servers! The Saintly Sixteen is going to get it down! Isn’t that her reputation? From tradition, if not Tradition. Methinks this is well said, but too late for my vote. Yours? I was one of the people posting in Scots Gaelic yesterday. Who do you think received my vote? My wording was poor. Are the verses your creation? Margaret has my vote! I wrote a novel about her (Queen Hereafter, Random House, 2010/11) — what a lovely and complex lady. May she wear the Golden Halo — she would have liked that. It’s shallow, I know, but I saw the word vestments and knew that I had to vote for Margaret! Hey, anybody who has 8 kids is probably a saint! We voted for Rapunzel (aka Margaret) who is wearing a golden halo. We are still upset that Santa Claus lost. I’ve checked back several times after I voted and it is still 52% to 48% even though the vote count is increasing. Tom & Scott, how about a short double bracket for Advent, just a warm up. Or an invitational cool-down bracket based on those who were bumped from the Saintly Sixteen or Elite Eight. Remember: Tote bag with completed 2012 bracket or at least an iron-on graphic. How could anyone pick a saint who did the usual – charity to the poor etc.- over the man who helped to create the World Council of Churches? Come on people, let’s get serious about the voting process. By the way, William has my vote, just to be perfectly clear. If charity to the poor was the usual, we’d have more saints. Wow, this is tough, for one with a Scottish maiden name (and a traceable heritage to Mary, Queen of Scots, and the Black Douglas who took Robert the Bruce’s heart to Jerusalem)…but I’m really taken with ABC Temple. Need to know more to defend my choice, but that’s where I’m headed, even at this late hour. Thanks, everyone, for your insights! I’m going for Temple because he bravely made prophetic steps that were beyond his day, in ecumenism and in his passion for social justice. 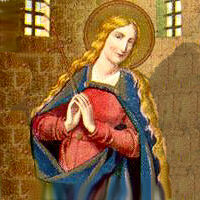 Margaret is also an amazing example of faith, but she served the poor whereas Temple did something to change their lot. PS the “pretty nice girl” just sounds misogynistic, magesty or no. It seems that Margaret confirmed Christianity in Scotland. Her faith, her charity and her children cemented Scot Christianity. She bloomed where she, finally, landed. Nothing against William, but it’s Margaret today. You are having too much fun for Lent. Beware! Have I been bumped? Was it something I wrote? B.O? Wrong deodorant? Who did I offend? You bumped me??? How many mea culpas do I have to say before being reinstated? Mercy !!!!! I wasn’t that bad, was I? No posting to day and I can’t vote !! !